Cancer doesn’t discriminate. It touches the lives of people of all ages — from children to adults. To celebrate the kickoff of the NFL’s Crucial Catch to Intercept Cancer Campaign, the San Francisco 49ers hosted a fashion show on Tuesday, Oct. 2. 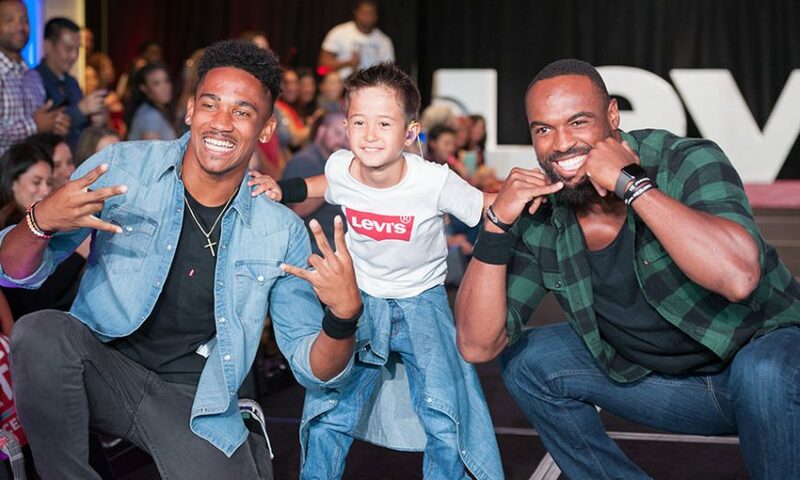 Players escorted Cancer Warriors down a runway, modeling clothing donated by Levi’s. Either currently battling or battled breast, pediatric or colon cancer in the past, each Cancer Warrior’s story was shared with the audience as they walked the runway. Eight-year-old Tyler was one of 23 Cancer Warriors who took their turn on the runway. His infectious smile and demeanor showed a hint of fascination at the attention. “Wow! All these people are cheering for me,” said Tyler as he walked down the runway escorted by Defensive Back Tyvis Powell and Cornerback Ahkello Witherspoon. Diagnosed when he was five years old with Stage 4 Neuroblastoma, Tyler’s journey defines a “Cancer Warrior.” Tyler has been through 17 months of treatment, including chemotherapy, radiation, two major surgeries (one lasting over 10 hours), immunotherapy and clinical trial afterwards. Currently in remission for almost two years, every three months Tyler has scans of blood work and clinic visits to follow-up as Neuroblastoma has a 50 percent relapse rate and a 50 percent survival rate. “This is our first year at the Crucial Catch program,” explained his mother, Sylvia Decourcey. “We’re so excited to participate because there really is not much awareness of pediatric cancer. 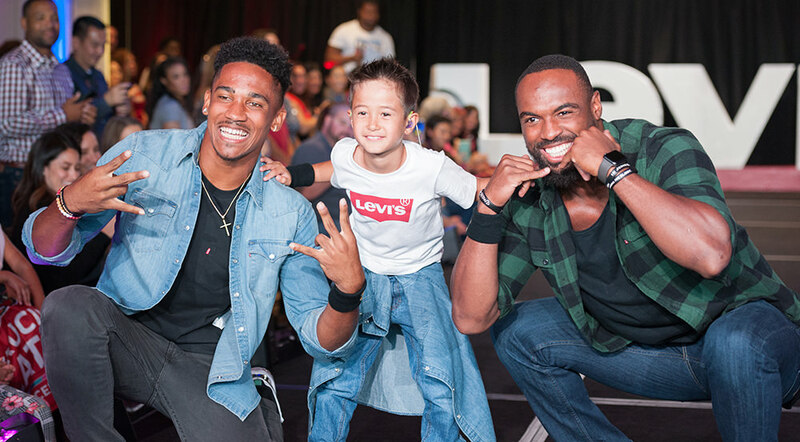 The 49ers players who took part in the event made it even more special with their enthusiasm while escorting Cancer Warriors down the runway. It was clear they not only wanted to be there, but that they were happy to help out. Several players greeted their Cancer Warrior (adult or child) with what could only be described as admiration and happiness at being able to help bring the spotlight onto cancer and to help the Cancer Warriors enjoy their time on the runway. Most chose to strike a pose at the end of their escorted trip before making the journey on the runway by themselves. Each trip was greeted by cheering and thunderous applause. But hearing the individual stories of their battles against cancer also brought more than a few tears mixed with the cheers. The NFL’s Crucial Catch to Intercept Cancer campaign is committed to the fight against cancer. Since 2009, the campaign has raised more than $18.5 million for the American Cancer Society. For more information on the campaign, visit the NFL’s website: www.nfl.com/crucialcatch. Thank you so much for calling us Cancer Warriors! I’m fighting breast cancer and have never felt like a “victim”, which “survivor” sounds like. I’m glad someone else feels that way too!